Courtesy of Independent Realty, Michelle Ames. 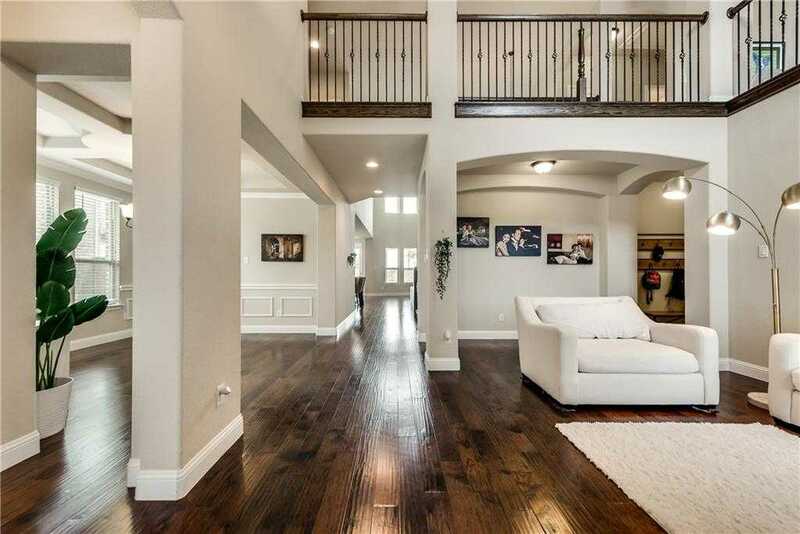 Beautiful 4-year old, move-in ready home in SW Frisco. Open kitchen-family room area with wood floors are perfect for gathering and entertaining. Kitchen boasts large island ideal for quick breakfast or full buffet service with friends. Five-burner gas stove makes meal prep, large or small, feel like a chef x2019;s experience. Five bedrooms-Four bathrooms provide plenty of space for friends and family. One secondary bedroom on main level for anyone needing main level access. Master on the main with large sitting area and spacious master bath. King bed? Room to spare. Four living areas allow everyone to relax how they want. Tons of storage not often seen. Large covered back patio. Home faces north. Please, send me more information on this property: MLS# 14052130 – $500,000 – 1233 Roma Drive, Frisco, TX 75036. I would like to schedule a private showing for this property: MLS# 14052130 – $500,000 – 1233 Roma Drive, Frisco, TX 75036.